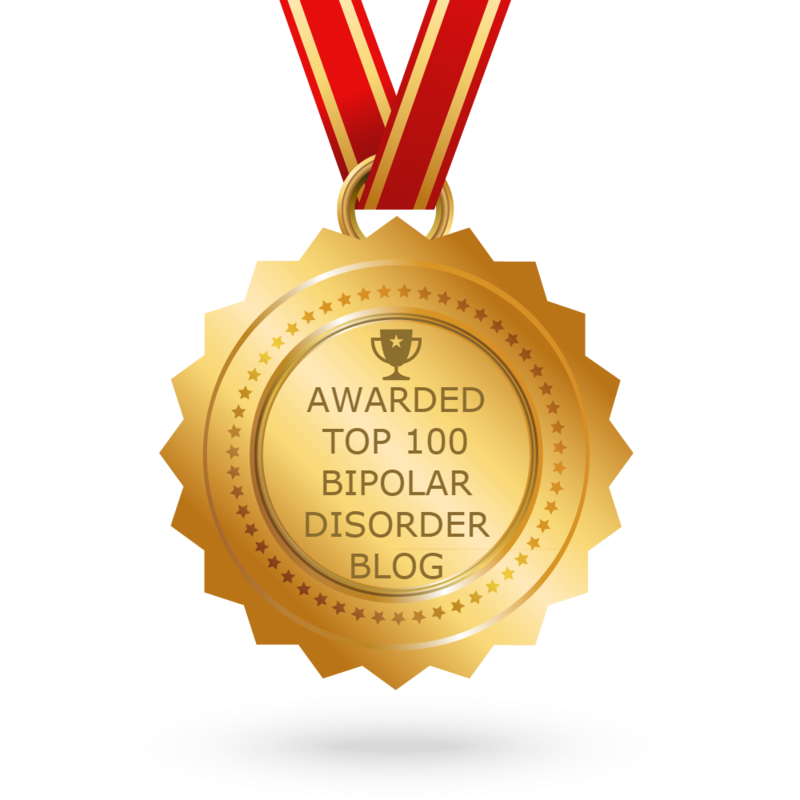 I’ve been living with bipolar disorder since I was 14 years old, in 1999. It has never been easy, but I’ve made it through with the help of my family and friends. I turned to drugs at age 12, which probably triggered the beginning of my episodes. I started seeing a psychiatrist and began taking medication in 1999. The best thing I had going for me was that I was always honest; I told on myself any time I did something I shouldn’t have. I have always felt the need to be honest. I was truthful about how I was taking care of myself. I always took my medications as prescribed, I went to every doctor’s appointment, and was honest with my psychiatrist/psychologist about the drugs I was using. I was even willing to admit myself to a psychiatric unit when necessary. I did these things, but was never happy about it. I was never really ashamed of my diagnoses, but I wasn’t willing to tell people. I know it was mostly obvious, especially since I was a cutter for many years, but it wasn’t something I wanted to shout from the rooftops. I remember feeling worried what my friends and family would think. I told my immediate and extended family, and I received unconditional support from everyone. I even had a few family members take the NAMI Family to Family classes so they could better understand what I was going through. After I got sober in 2004, I began a life across the country. I got a great job and I even received a fantastic promotion after 1 year. I kept my mental health diagnoses mostly to myself. I was concerned of what my co-workers and my friends from the 12-step program I attended would say. I had a couple experiences where I felt looked down upon when people found out about my mental health, however, I think most of it was in my mind. In 2009, I had an episode that was so extreme, I had to leave my job, move back in with my mother, and go on disability. At this point, I couldn’t hide anything, and I decided it would be too much work to try. As it turns out, most people didn’t even think twice about it. I even found several people that lived with the same things, these people became my friends. I became comfortable with my diagnoses; now, I don’t care who knows about my mental health. If someone thinks differently of me because of my mental health, then that’s their problem and their ignorance. It has taken a long time, but I have finally become comfortable with my diagnoses. Even though I struggle daily due to my mental health, I also feel that it has made me stronger. It may have taken me many years to become comfortable with this part of who I am, but now that I have, I can spend my time and energy working on myself instead of trying to hide myself. Becoming secure with my diagnoses has allowed me to truly live my life. To manage my mental health I continue to take medication as prescribed, follow-through with all treatments, be honest with my friends and family, try to stay productive, find things I’m passionate about (I enjoy cooking, cleaning, and hiking), try to keep on a schedule, and try to get a good night’s sleep. None of these things are easy, but if I regularly work towards these goals, life becomes easier. I am blessed with family and friends that support me no matter what. My husband, mother, and other family encourage me to do things that are healthy for me. If it wasn’t for them, I probably would never leave my house or see any friends. It is because of their love and support that I can accept myself for who I am. My bipolar disorder and other mental health diagnoses are only a part of who I am, they do not define me or dictate my life. For multiple reasons, I cannot have children. In 2010, I decided to have my tubes tied. This was an extremely difficult decision. I made my decision because I know what I’m like when I’m manic and when I’m depressed. I have had many episodes over the years, I’ve even lost track of how many, and I came to the realization that there have been many times that I could not take care of myself; I was afraid to be responsible for a child. Also, I have always been on a lot of medication and I was scared to go off the meds during a pregnancy. With the help of my therapist, support group, mother, and friends, I made the decision to have my tubes tied. It was one of the most difficult decisions I’ve ever had to make, but I am grateful for my decision, it was the right thing to do for me. However, my heart breaks any time I see a small child. Then in 2014, I ended up having a total hysterectomy due to ongoing medical problems. Even though I already had my tubes tied, it felt like a major loss. The surgery went well, but I have struggled emotionally with it ever since. My husband already has two kids, ages 22 and 24 (yes, I married a man that’s older than me). It works perfectly for several reasons; I can’t have children and he doesn’t want any more, we love each other, and we’re best friends (we had been best friends for years before we even started dating). I get along great with both of his kids. His daughter, my step-daughter, had a baby this past September. I am a 31 year old, extremely proud grandma. We both love every second we spend with our beautiful granddaughter. It can be emotionally difficult for me. I frequently wish that I could have my own children, but I still know that I did the right thing for me. Every person is different; when making any decision, it’s important to make the right choices for you. I made the right decision for me, but that doesn’t take away the difficulty. Just because it was right for me, does not mean it’s easy. I was hoping it would get easier over time, but I’m still waiting for that to happen. Every time I see a baby, baby clothes, or toys, a part of me saddens. At the same time, another part of me is grateful because I know I made the right decision for myself. At times I can feel jealous of those that are able to have children and deal with mental health disorders. I’m just not someone that can do that. I believe that the only thing that matters is that every person makes the right choices for their own life. No matter how difficult it can be to deal with, I made my right choice. Two weeks ago today, I say my psychiatrist, and we discussed my options for the next treatment method that we would use. This was not the first time we had this discussion. The topic began in November 2015. I kept putting off the actual decision making. My options began as IV Ketamine, MAOIs, or a Clozaril rechallenge. First, I wanted to do some research and then I wanted to discuss it with my mother and husband. Then we decided to do genetic testing and I wanted to wait for the results of that test. The genetic testing showed that I was unable to process folic acid, so I started Deplin, a prescription for L-methylfolate, which allows me to process folic acid. Deplin is known to increase the benefits received from other psychiatric medications. It takes 4 – 6 weeks to see the full effects of Deplin, so I wanted to wait to see how effective it would be for me. Today is the end of the sixth week. While I can see some improvements, such as my productivity, other aspects have had no improvement, like my auditory hallucinations, suicidal ideations, paranoia, and worthlessness to name a few. I decided that I do need to try another form of treatment because what I’m currently using is not working well enough. I chose to do a Clozaril rechallenge. I am aware of the risks, but I feel comfortable because of the safety measures in place such as the weekly blood work. The first time I tried Clozaril, I lasted approximately 2 weeks before I got a fever and had to stop. I will pay close attention to any possible symptoms including but not limited to dizziness, sedation, blurred vision, increased sweating, nausea, flu-like symptoms, and a fever. I will contact my doctor daily to let him know how I’m doing, especially as I slowly increase my dosage. I am hopeful for this medication to help me. If Clozaril does not work for me again, then I will have to try IV Ketamine since I am personally against taking MAOIs. I am prepared for just about any situation. I know that I need to have my blood drawn before I begin the medication. Every week I will get blood work done; it will be sent to my psychiatrist and pharmacy. I cannot get the prescription without having blood work done. This will be another adventure; I’m interested to see how it works out. I have been dealing with anxiety and panic attacks for many years. I go through periods where they happen more often, and then I’m lucky enough to go through some periods where they decrease. I have learned that I need to accept the fact that they are a part of my life; the more I accept them, the easier they are to get through. I’m not saying they’re easy, just easier. It’s probably because I can recognize when I’m having an attack and do some of the things that help me feel safe. For example, I try to go somewhere I can be alone or only with people I’m extremely comfortable with. If this isn’t possible, I sit or stand with my back to a corner. I’m afraid someone is going to come up behind me, but if I’m sitting in a corner, then I know it’s not a possibility. If I’m in public, my husband will walk or stand behind me when I have an attack, that way I know the only person behind me is him, and he would never let anyone hurt me. Basically, I just try to put myself in situations that allow me to be comfortable. I’ve developed many different strategies over the years to help in almost any situation. For a little while, I thought my attacks were lessening. Some of my symptoms were not occurring as often and some of them not at all. However, I had new symptoms begin, but I thought that they were physical health problems. I would get chest pains that would last for quite a while and my left arm, hand, and fingers would become numb and tingly. I assumed it was a heart problem. I told my psychiatrist eventually, and he asked me to get checked out. I did a full cardio and neurological exam and everything came back fine, but the symptoms never went away. I opened my mind to the idea that my anxiety and panic attack symptoms could have changed. It didn’t seem right to me, but that’s when I noticed that some of my previous symptoms were gone. I no longer get dizzy, nauseous, or have hot flashes. Some of the symptoms that I’ve had for years, such as trouble breathing, trembling, and overwhelming terror still occur, except now they happen with the new symptoms of chest pains and a tingling arm. It took quite some time for me to determine any pattern with the new symptoms, but I do see now that they along with some of the old symptoms. I didn’t think it was possible to have the types of symptoms I experience with my anxiety and panic attacks to change over time. At least now I am aware of my symptoms again. This provides me with the ability to get to a comfortable place when the symptoms first start, which in turn helps to reduce the severity of my attacks. It also helps so I don’t end up having attacks in public places, at least for the most part. I’m curious to find out if others have experienced this same type of change. I have a difficult time doing anything that is not in my normal schedule. Even if it’s as simple as going to a new store to go shopping, meeting someone at a restaurant I’ve never been to before, or going to a get together at a family member’s or friend’s house. I do my best to prepare myself for any situation that I will be getting myself into. Basically, all I try to do is to find out as much information as I can about the upcoming event and come up with a plan for what I can do if I have an anxiety/panic attack, if I start crying, or if I become uncomfortable in any way. Planning helps me feel safer and reduces stress when I walk into these unknown situations, but it doesn’t always solve every problem. For example, today I went to two different family member’s houses. The first house was somewhere I had never been before. I started planning by trying to figure out who was going to be there, my husband helped me with this. Then, my mother helped me by reminding me that I can handle this. Also, if I became too uncomfortable or scared, I could always walk outside and call someone to talk me through it. Additionally, I planned on taking a Valium on my way over there to help keep me feeling relaxed and prevent an anxiety/panic attack. Furthermore, I planned on sitting by someone I’m very comfortable with and having my husband sit on the other side of me, that way no one could catch me off guard. Nothing every goes perfectly as planned, but things almost always go better when you have a plan rather than going in unprepared. When I arrived at the first house today, I was surprised to see that there were 5 people there I didn’t know, and I had no clue these people would be there. I freaked out at first, my heart started to race, but at least I had taken a Valium, otherwise my reaction would have been much worse and more noticeable. Then I thought about my plan and I sat myself down next to a family member that I find enjoyable and is also understanding of my bipolar disorder. This kept me calm. I used these techniques help me through the day, and to my surprise, it was easier than I thought it would be. I’m sure that the people I didn’t know thought I was different because I avoided them at all costs, but oh well; all I really cared about was making it through the day without freaking out. The second house I went to was fine; I’m already comfortable with the people there, and everything went well. I’m proud of myself for making it through the day, especially since things didn’t go as I thought they would. Planning ahead doesn’t solve every situation, but it does make it a whole lot easier. It also helps a great deal to be with someone that knows your situation and is there to support you; for me, that’s almost always my husband. He knows how to make me feel safe and comfortable. I’m extremely grateful for his love and support, as well as the love and support from my mother and other family members.